We offer professional service using the most competent, experienced and qualified consultants who possess the appropriate professional accreditations. We avoid the ‘one size fits all’ approach because we genuinely think that it is better to help an individual to develop skills and competency from within their business and to work with them to meet their respective needs as opposed to providing complex and often expensive systems and documentation that is challenging to understand; that won’t effectively meet anyone’s requirements and won’t help to comply with legislation and improve business performance. Health and safety management should be a business process that helps an individual as well as an organization to be more efficient, safe and profitable rather than a costly bolt-on and most importantly it should reduce the risk of accidents and ill health to employees and customers. 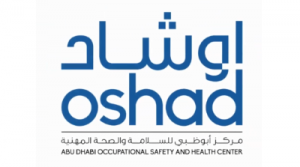 A Training & Consulting Company based in Abu Dhabi Approved by ACTVET & Accredited by HAAD and OSHAD. #1404, 14th Floor, Green Emirate Building, Tower A (C88), Electra Street, P.O. Box 38774, Abu Dhabi. Copyright © 2016 All Rights Reserved Aspire Middle East Training Institute.